There are lots of tricks that will allow you to quickly lose ten pounds of water weight. However, these tricks are not the best way to lose weight as you’ll usually just gain it right back. More importantly, many of the lose weight fast tricks are dangerous to your health. For example, taking too many diuretics can permanently damage your kidneys. 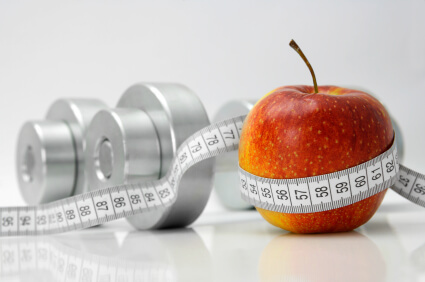 The best ways to lose weight are those methods that you will actually stick with long-term. These are the life-style changes that you can make that are simple enough that you do them permanently. 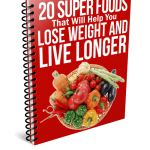 Below you will find several suggestions for simple lifestyle changes you can make that will help you not only lose weight but also keep the weight off long-term. One of the easiest ways you can lose weight is to drink more water. Most people actually walk around chronically dehydrated. In order for your gastrointestinal system to function properly, it needs enough water. Furthermore, your metabolism needs enough water to self-regulate. You also need enough water for your body to systematically eliminate toxins and parasites. Drinking more water is one of the most important things you can do to improve your health in addition to losing weight. Try this: Drink a small glass of water in the morning before you drink your coffee or eat your breakfast. Drink a glass of water before you eat lunch and dinner too. This will also help you feel full and you won’t tend to eat as much. Even if you schedule time for exercise, this is actually one of the first activities most people drop if their schedule gets too busy and we all know how quickly this can happen. The best way around this is to really make every minute of your exercise really count and do exercise that is super simple to incorporate into your life. It could be one of the best ways to lose weight. Try this: When you first get up in the morning, do 5 minutes of an intensive heart pounding exercise. You don’t need to buy a treadmill or a stair climber, although these would certainly work. You can simply dance to your favorite upbeat music, run in place, or do jumping jacks. The idea is to jump start your metabolism. This type of exercise, even just 5 minutes, will boost your metabolism for the entire day. You do not need to go to the gym or be an athlete to lose weight and stay in shape. Really all you need to do is find simple ways to be more active. Gently increasing your overall metabolism and strengthening your joints and muscles is all that is needed. Try this: Parking your car further away, take the stairs instead of the elevator, and takie a short walk on your break instead of sitting in the break room. These are all good examples of simple ways you can be more active and you can probably think of more. You can also join a club that will get you outside more often on a walk. For example, you can join a bird watching club or perhaps a support group where you’ll meet people who can walk and talk with you. The human body works the most efficiently when it is in a slightly alkaline condition. If the body becomes acidic, this will interfere with your metabolism and make your body store fat. 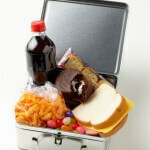 It will also put you at a greater risk for serious health issues like cancer and type 2 diabetes. Try this: Buy some organic unfiltered apple cider vinegar. Add 1-2 tablespoons to your morning water. You can also use fresh lemon juice. Both apple cider vinegar and lemon are strong alkalizing agents in the body. They will help to offset the acidifying foods you may be eating. Eating more dark green leafy vegetables will also help in the department of one of the best ways to lose weight! Have you heard of the African mango diet where the seeds of this fruit are ground up and sold as weight loss supplements? It is all the rage in health circles. 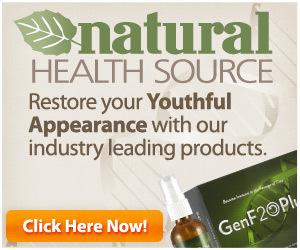 Even Dr. Oz has endorsed using it. While there is nothing wrong with using African mango supplements, research has shown that most of the health benefits from using African mango comes from the soluble fiber it contains. Guess what? You can get the same health benefit by eating more vegetables, fruits, and nuts. This will give you many other nutrients and antioxidants as well as fiber. Try this: Add high fiber organic berries like blueberries, strawberries, and blackberries to your morning breakfast. Eat at least one big serving of dark leafy greens a day. These include spinach, kale, chard, and mustard greens. You can very lightly saute them in teaspoon of coconut oil to make them extra delicious. Make a big salad with all kinds of raw organic vegetables for lunch or dinner at least twice a week. Add seeds like pumpkin seeds, flax seeds, and sunflower seeds to your cereals, salads, and stir fries. 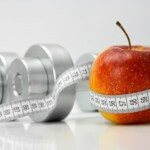 These are some of the best ways to lose weight, and they are simple enough that you can easily make them part of your permanent lifestyle. Good luck with your weight loss goals! Fox News. The best way to lose weight may already be in your kitchen. Fox News. Yes the stuff in yogurt that Jamie Lee Curtis hawks for digestive issues could burn calories and curb cravings when Draconian diet and exercise plans aren’t enough. Which is why probiotics are transcending the dairy aisle.